Gabby is a all over lace gown with long sleeves, a high neck, a low dramatic back and a colored underlay. You take one look at this gown and it says elegant and regal. Gabby would be perfect for the bride who loves Art Deco style (think The Great Gatsby). Our dream venue for this gown would be a loft style venue with candles lining the aisle. 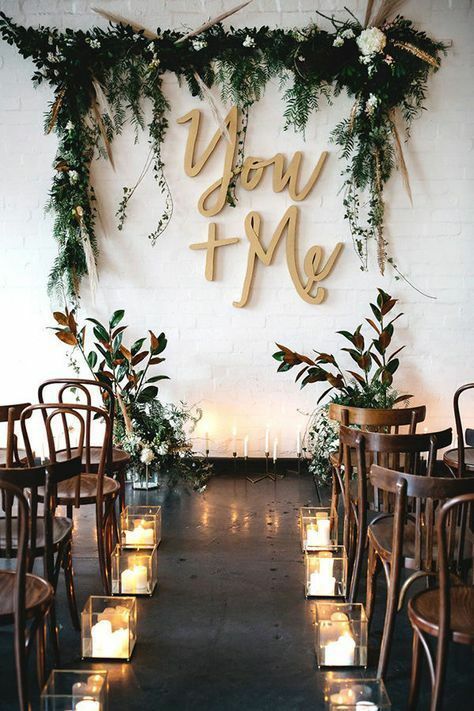 We love idea of playing with shapes and props to create a unique backdrop to get married in front of similar to this moon with art deco detailing. We would suggest keeping flowers to a limit at this type of ceremony! At the reception, we would mix lots of blacks, golds and crystal to create a gorgeous art deco tablescape. For floral arrangements, we love to idea of creating contrast against a dark table with vibrant flowers in reds and pinks. 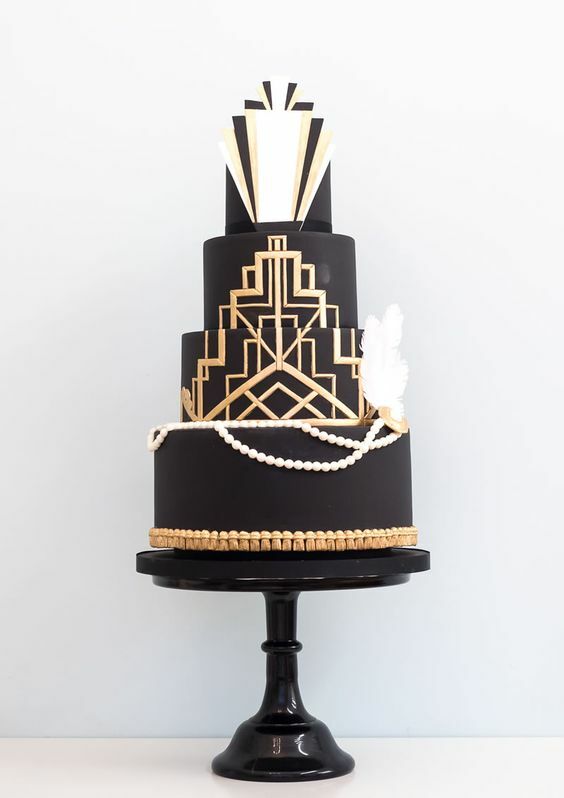 For the cake, we suggest something graphic and sculptural playing into that art deco theme and mimicking the structure and lines in the Gabby Gown.